Toxic Radical Run 95' Obstacle Course Rentals | BounceGeeks.com Richmond, VA. 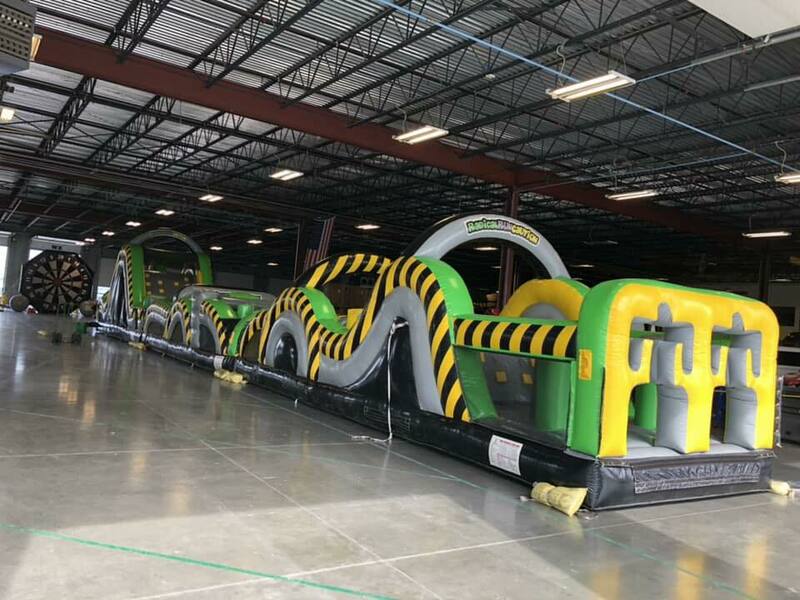 This is our biggest, baddest (and longest) obstacle course! Toxic Radical Run is a three-piece obstacle course which is sure to be a hit at your event with both younger and older kids alike! 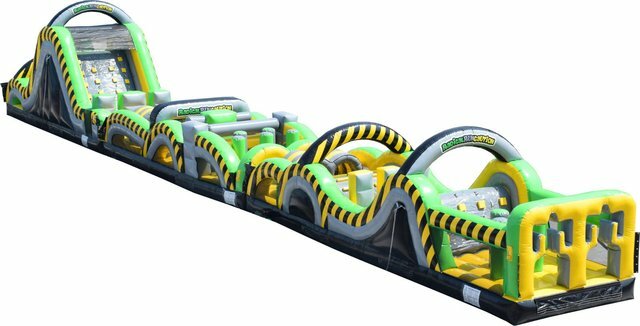 Two participants can go head to head with this super cool inflatable which has a toxic meltdown theme that goes perfectly with our Ninja Warrior Meltdown game. 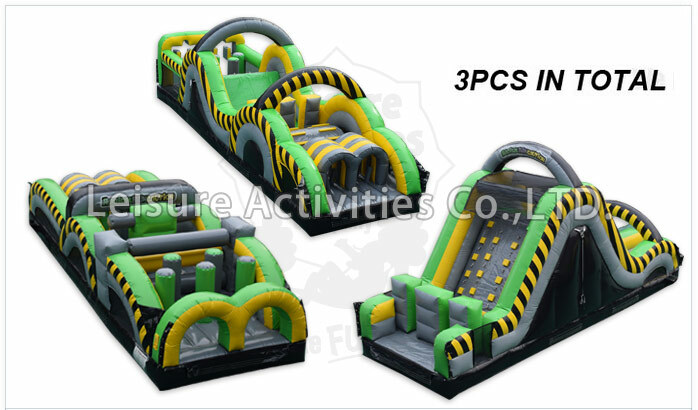 Before you reach the end of this 95 foot long course, you must first crawl and make your way past obstacles, squeeze through barriers, dive into a hole, and climb up to the big slide finish! What a great way to have some high energy fun at your event.